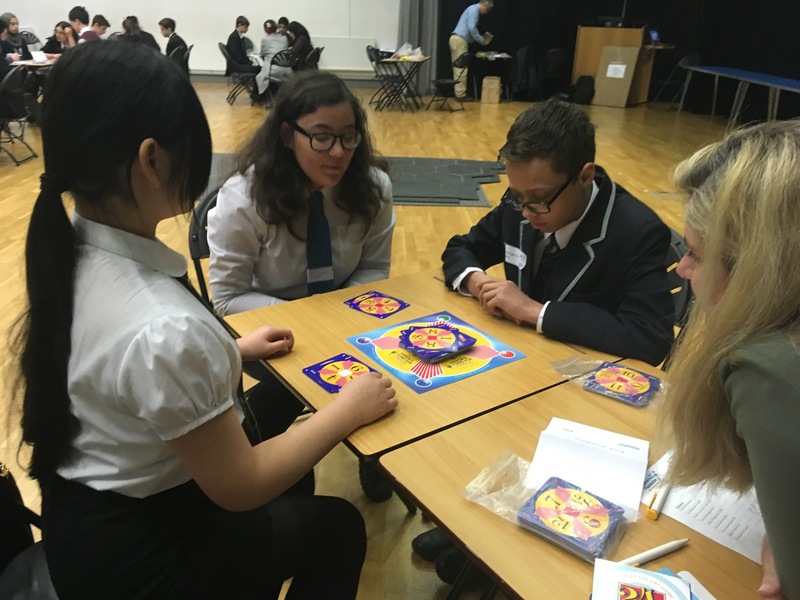 In the last week of April, the Mayor’s Fund for London ran a week of exciting qualifying tournaments for our Count on Us Secondary Challenge. 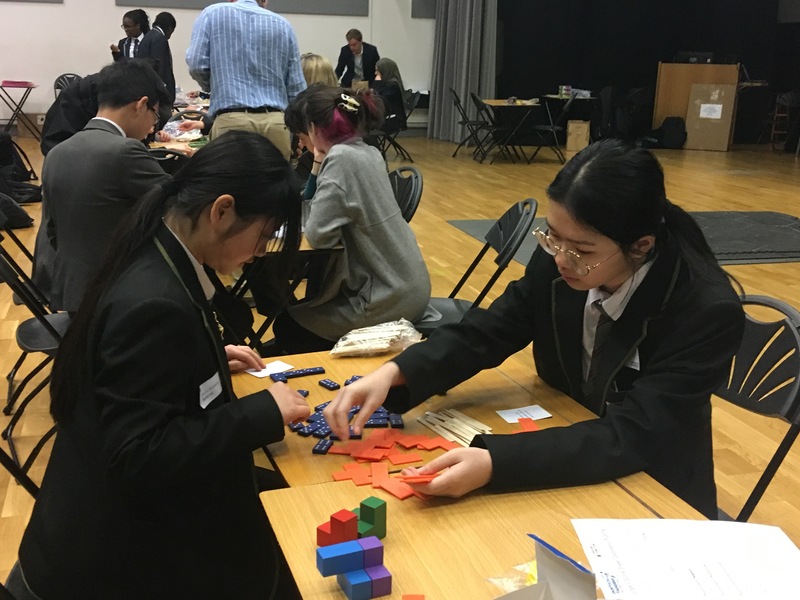 The Secondary Challenge is one of our flagship numeracy programmes, engaging Key Stage 3 pupils from all across London in a range of competitive maths activities, all with the aim to make maths fun, exciting and creative. The Secondary Challenge is run in partnership with the Jack Petchey Foundation. During the week, 7 tournaments took place at 5 different host schools across the city, and over 65 schools from all over London attended. All schools were competing for an esteemed space at our Semi-Finals at City Hall in June. Each tournament consisted of 4 equally challenging rounds: the Game of Hex, the Geometric Puzzling round, the fast-paced 24 Game®, and the elusive algebraic codebreaking round. The tournaments always began with a tense atmosphere as the pupils strategically and silently moved around their Hex Boards. However, a noisy buzz of excitement and enthusiasm soon developed as the children rushed to swap their puzzle cards, battled to score the highest points in the 24 Game® and hurried around the room searching for their next code-breaking clue. Who knew maths could be so fast-paced and lively? So many high marks were scored and every team did their school proud by modelling excellent teamwork and perseverance skills. Well done to you all! The top 26 teams have qualified for the Semi-Finals, and will now be training hard again in order to make the 2018 Final in July, held in the Chamber where the London Assembly meetings run! 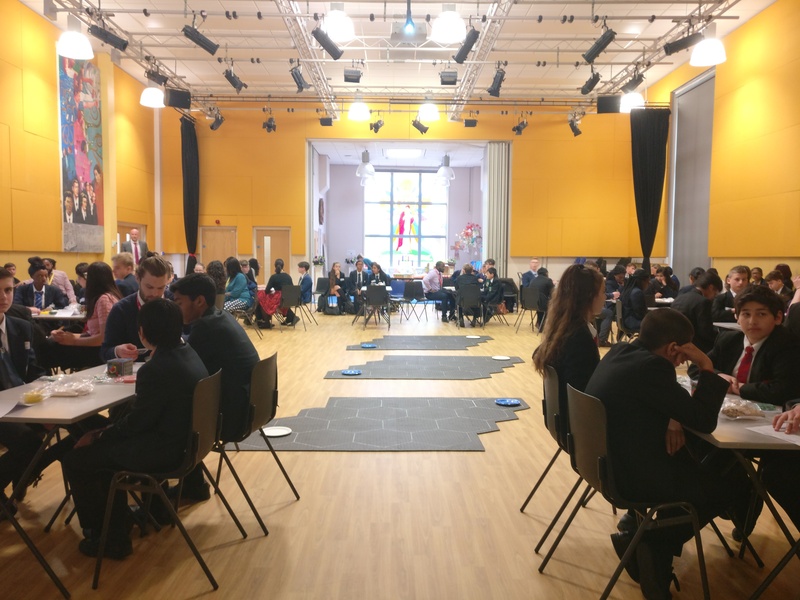 A big thank you to all our host schools – Bonus Pastor Catholic College (Lewisham), Langdon Academy (Newham), Mossbourne Community Academy (Hackney), Hammersmith Academy (Hammersmith & Fulham) and Winchmore School (Enfield) – to the teachers and amazing teams of staff who helped to organise everything, to all the participating schools, and particularly to the competing pupils for their hard work, resilience and creativity. Thank you also to the Jack Petchey Foundation for their ongoing support of the programme. We now cannot wait for the Semi-Finals to begin!